We ensure quality by maintaining the highest standards of efficiency in our approach and organization as well as by listening to the feedback from our clients and students. We attach great importance to the hiring of well-trained, qualified teachers. Selection is based on 5 fundamental criteria: in addition to teaching their native language, we pay particular attention to their initial level of training, experience, competence and flexibility. The coordinators at F9 provide them with regular training and permanent support. F9 has received the Qfor label for the 3rd consecutive time, awarded in 2013 to training organizations that successfully passed a quality audit. 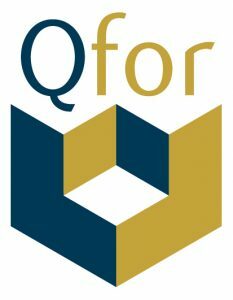 Qfor is a modular system of quality assessment and certification of training and counseling based on a client satisfaction feedback study and/or analysis of their procedures and resources. The certification is valid for 3 years. In 2013 93% of F9 clients were ‘very satisfied’ with the service they received. Strong points they mentioned: our flexibility, the quality of our teachers, the helpfulness of our front desk, and good value for the price.